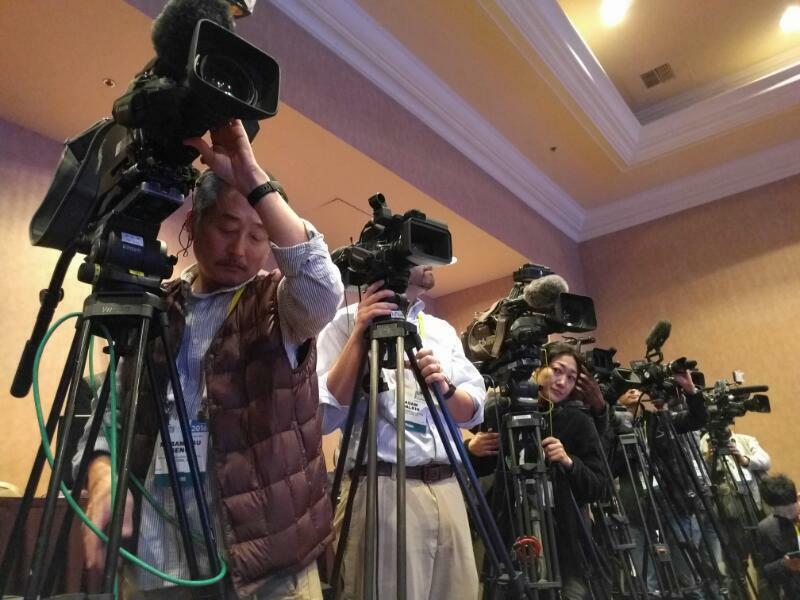 The Japanese giant looks to reclaim some of its former glory at CES 2016. 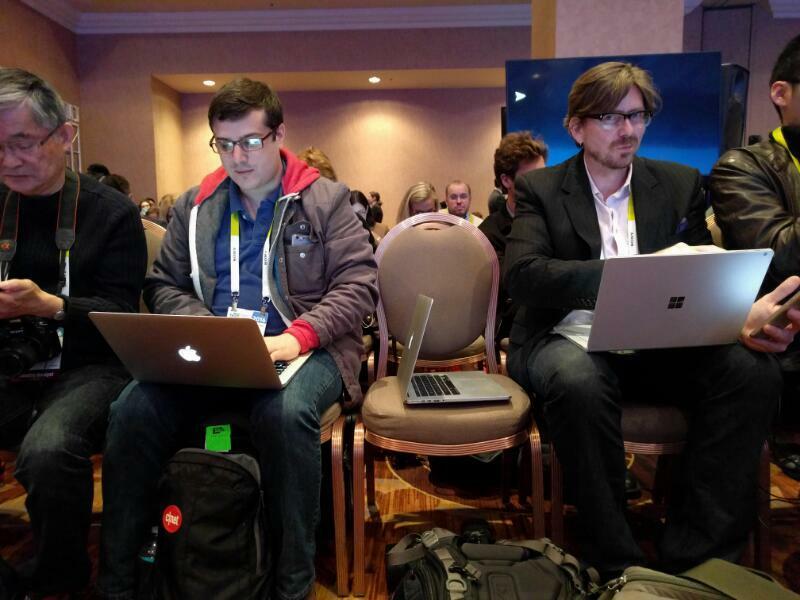 Hello hello, CNET is here at Panasonic's CES press conference which should begin in 5 minutes. Stay tuned, folks! Hey gang. We should be starting shortly. Our on-site team is setting up and getting connected. 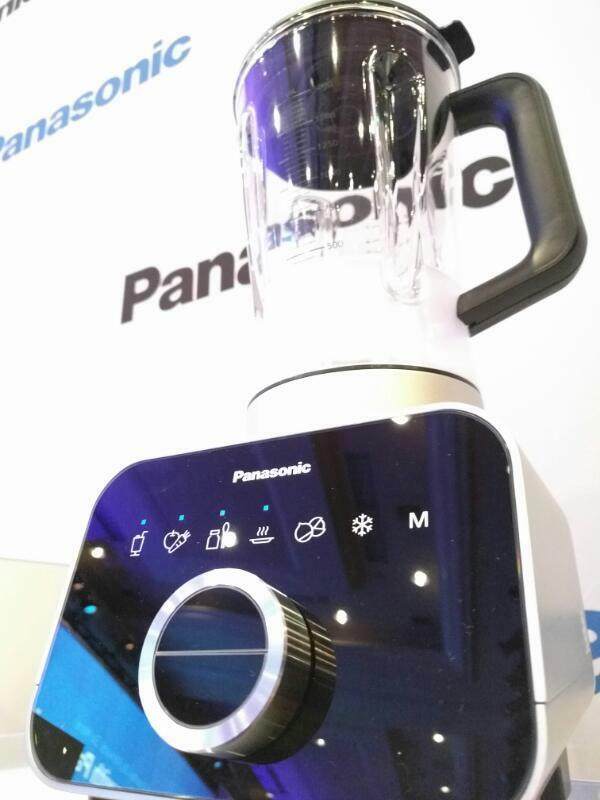 Panasonic's motto here at CES (as displayed): "Live Better. Work Smarter. Go Forward. Do More. 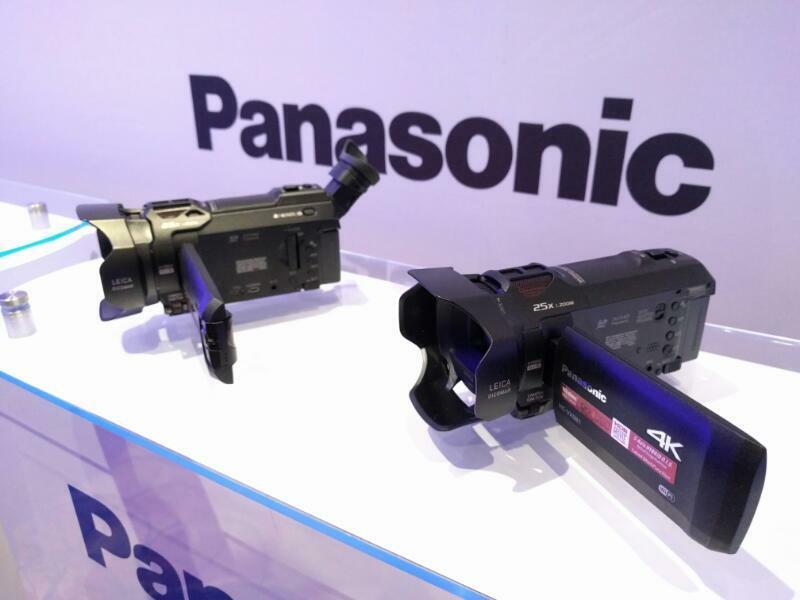 Bring it All Together with Panasonic." 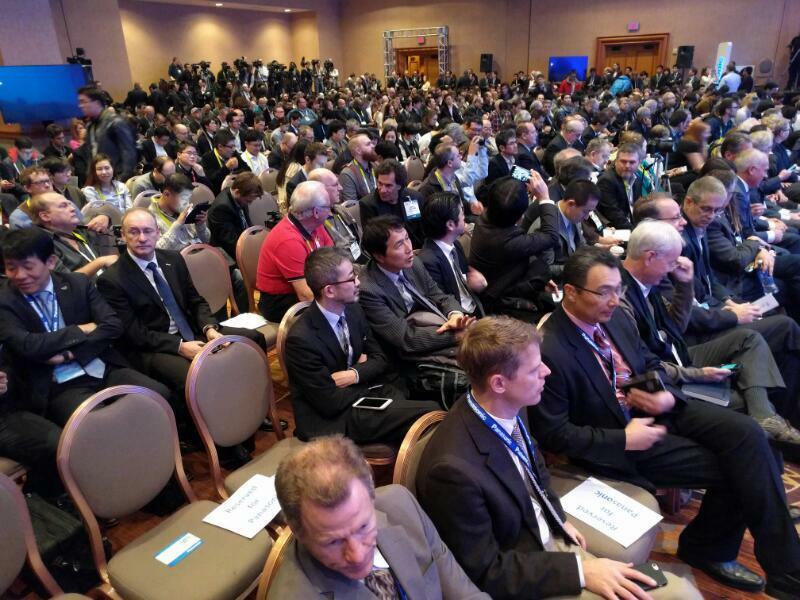 Audience here at Panasonic just told to take their seats and silence their phones. Should begin any minute now. Alright, the country music Panasonic was playing just ended. Cue the rock now. Panasonic showing us video of drones, solar panels, phones, networking equipment, helicopters, solar-powered car, race tracks in intro video. Kind of all over the place. Joseph Taylor, CEO of Panasonic, just stepped on stage. Joe Taylor: You're going to hear what we're doing in automotive, for business customers and for smart cities. 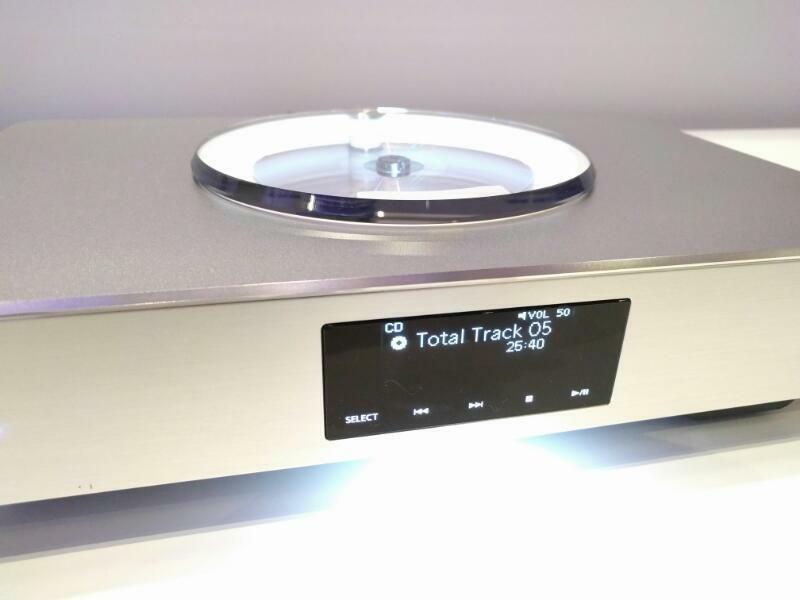 "Technology innovations engineered to enhance the customer experience", says Taylor. That's some impressive buzzwordage. 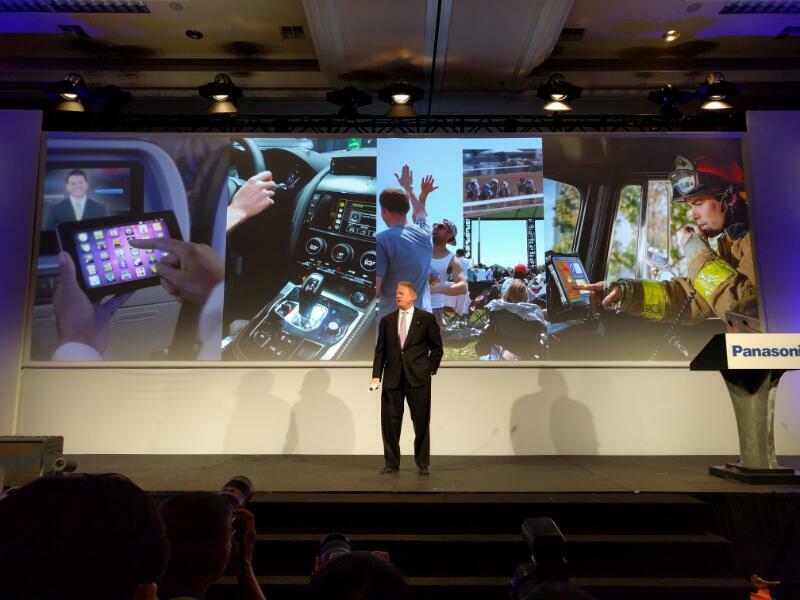 Panasonic CEO Taylor starting with automotive. Panasonic CEO: we're pleased to announce the Acura NSX will feature Panasonic studio audio system developed by Elliot Scheiner, a grammy award winning engineer. 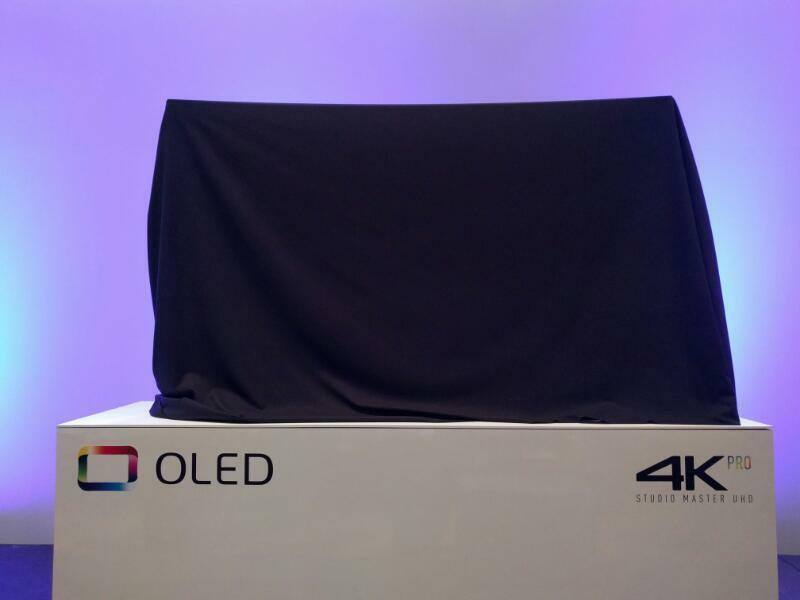 Automotive tech is what LG led with as well. 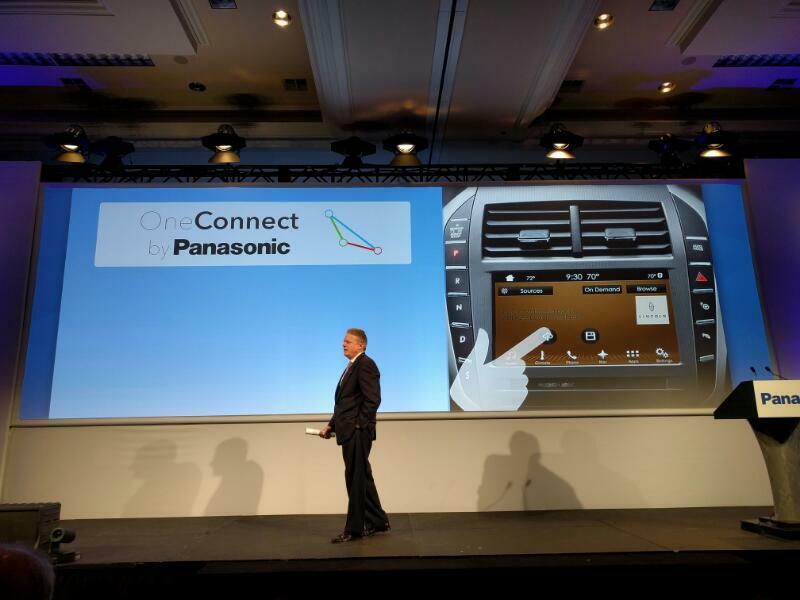 But Panasonic talking about car audio instead of sensors. CEO: the NSX will also feature Panasonic's OneConnect, allowing drivers to hear live updates like service updates for car and even airport traffic info. "e-cockpit command and control centre". That's part of Panny's "vision for the future". And it sounds pretty awesome, to be honest. 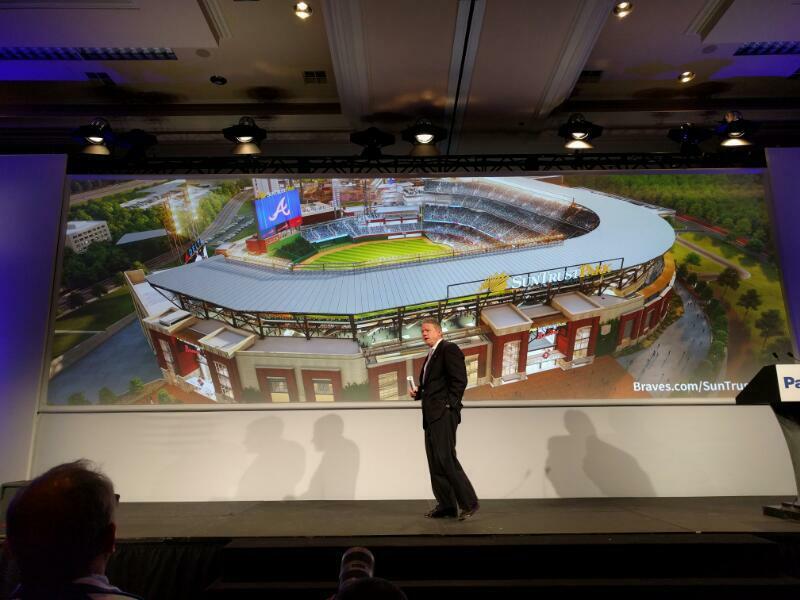 Panasonic's CEO says it's partnering with Atlanta Braves in a mixed-use development that will involve Panasonic's tech, like lights, digital signage, and integrated security monitors. 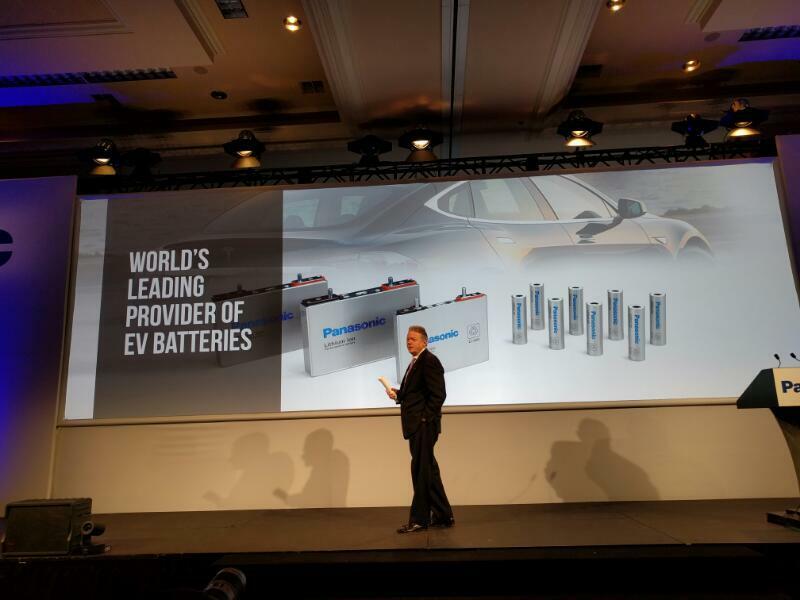 "At Panasonic, we don't think smart and sustainable solutions are only" for businesses," says CEO Taylor. 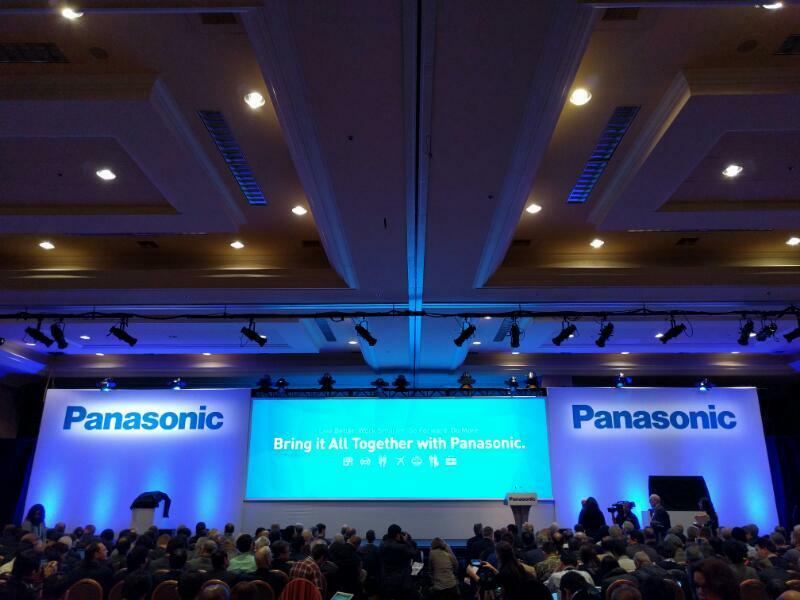 City of Denver will partner with Panasonic in smart city initiative, says Panasonic CEO. Panasonic looking at smart city solutions with a half dozen' US cities -- first off the mark is Denver for the City Now "smart and sustainable solutions". 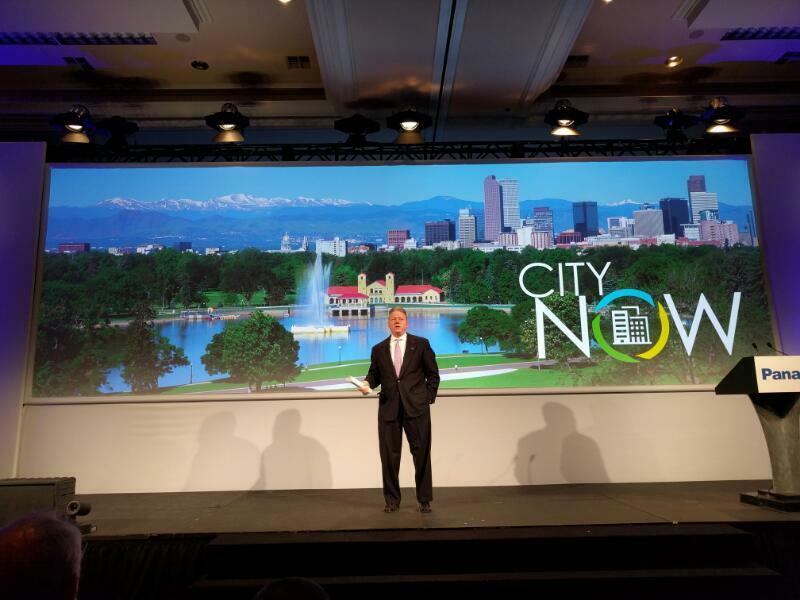 CityNow is Panasonic's smart city initiative with Denver. Interesting to see such a company leading with something like City Now as opposed to the very personal tech focus we usually see at CES. Panasonic is showing us some video of its "smart and sustainable" city initiative. The smart city of tomorrow is here today, Panasonic says. 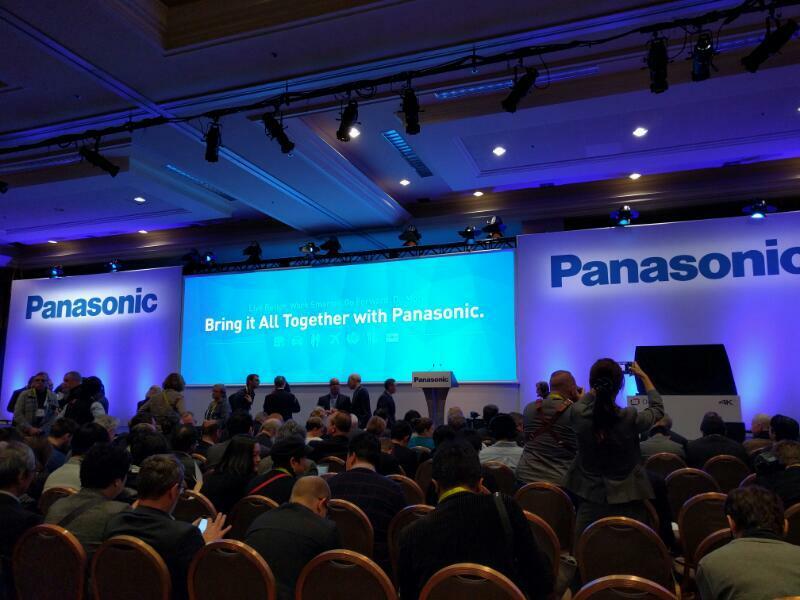 Mayor Michael Hancock of Denver is onstage with Panasonic CEO now. Denver's Mayor: "I hope you all noticed this guy's got some pretty cool socks on," referring to Panasonic CEO. Being Australian I don't know a lot about Denver, but I did eat one of their omelettes once. So there's that. Mayor Hancock currently calling Denver a "boom city". Denver Mayor: "people are moving to Denver because we're a smart and sustainable city... We know that technology can be a great equalizer for people." Denver Mayor: "We're excited about this new partnership." Panasonic CEO: "If I was within 30 years of being a Millennial, I'd move (to Denver) now." Denver Mayor says he was convinced about partnership with Panasonic after seeing what it did in a test case in Japan. Mayor Hancock hopes that City Now will actually impact citizens by helping to provide information and service. "Provide smarter and cleaner streets, better health care and the power of a solar-powered micro-grid".